“Russophobic sentiment in the media is being ratcheted up in France under the pretext of countering disinformation”. The spokesperson also claimed that outside Russia, “Russian information agencies RT and Sputnik were publicly called agents of the Russian intelligence services, just because they strive to offer an alternative point of view”. According to the ministry, “the goal is creating the image of an external enemy, […] justifying the measures being undertaken in France to limit free speech”. 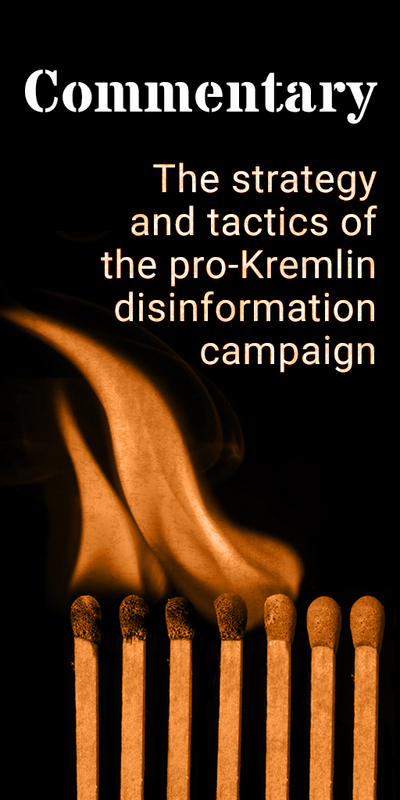 The cornerstones of this narrative are that international criticism of the Kremlin’s disinformation campaign is grounded in “Russophobia”; that RT and Sputnik are like other media, which strive to present a variety of viewpoints; and that it is Western countries that limit media freedom, not Russia. When international criticism of the Kremlin’s policies and actions is described as “Russophobia”, it reduces this criticism to an irrational form of intolerance towards Russians. The “Russophobia” accusations became a standard defensive line for the Kremlin after Russia’s invasion of Crimea in 2014 and is now a universal explanatory model. It is convenient because the dismissal does not imply any real discussion of the circumstances that are being criticised. Claims of “Russophobia” have recently been used as a defence against Western reactions to the Salisbury poisoning. Sometimes “Russophobia” is even presented as the very source of Russia’s worsened relations with the West. 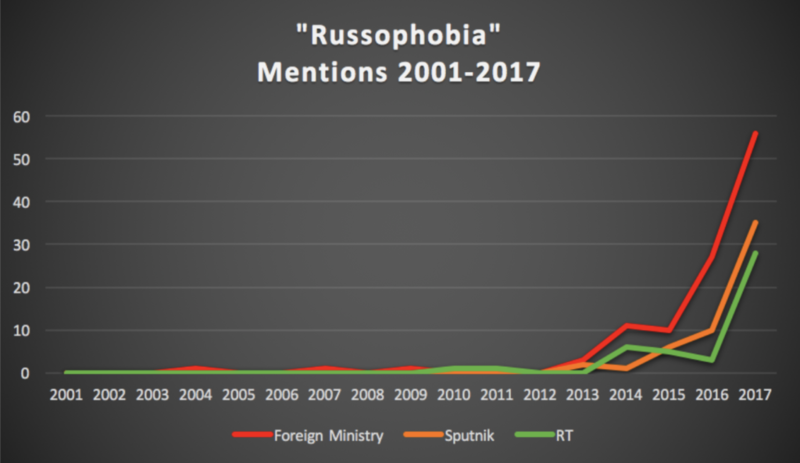 “Russophobia” appears as a keyword more than 80 times among the cases gathered in our database of pro-Kremlin disinformation. The Kremlin’s most important international propaganda organisation is the TV channel RT (formerly known as Russia Today). RT is known for systematically and knowingly spreading disinformation; a recent example is the interview with the duo suspected of the poison attack in Salisbury, which has spurred disbelief and ridicule, also inside Russia. Neither RT nor Sputnik enjoy any degree of editorial independence; everything in their output has to fit into the political guidelines they receive from the Kremlin on a weekly basis. This has led some, for example France’s President Emmanuel Macron, to question if these organisations’ products can be called journalism at all. Both in France and in the UK RT has been met with criticism and warnings exactly for its lack of ability to meet fundamental journalistic standards, including impartiality and accurate reporting. Not only state media which target international audiences, such as RT and Sputnik, are used for propaganda and disinformation purposes. 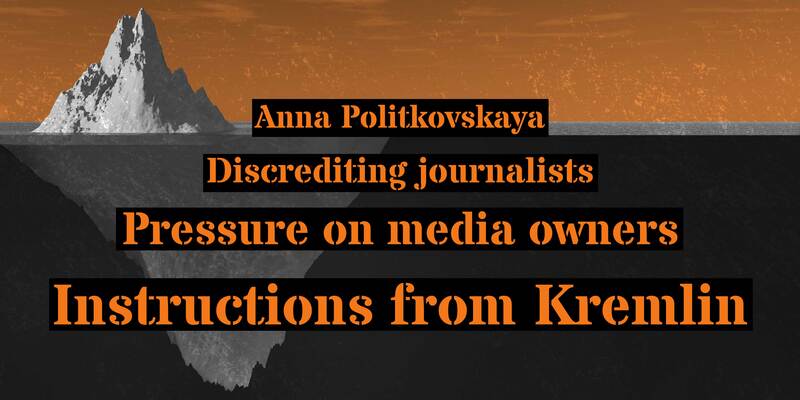 State-controlled media addressing Russian audiences, for example Pervy Kanal, Rossiya 1, NTV and the news agency RIA Novosti, play a key role spreading disinformation and e.g. 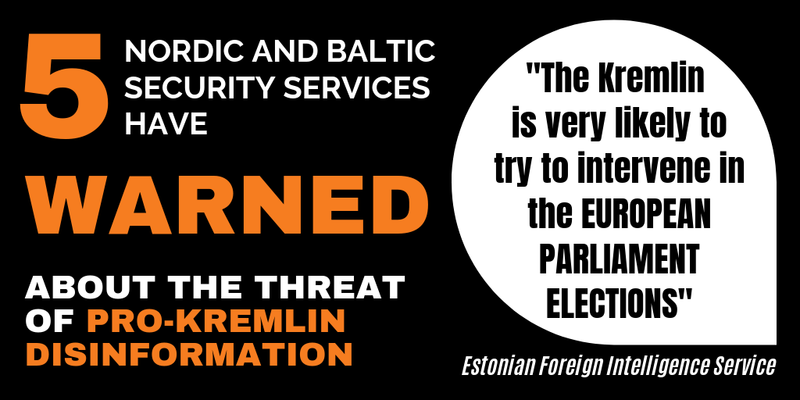 in cracking down on Russian civil society and in conducting targeted media attacks e.g. on human rights defenders. The state media are extremely well financed and follow the official lines carefully, sometimes aggressively. 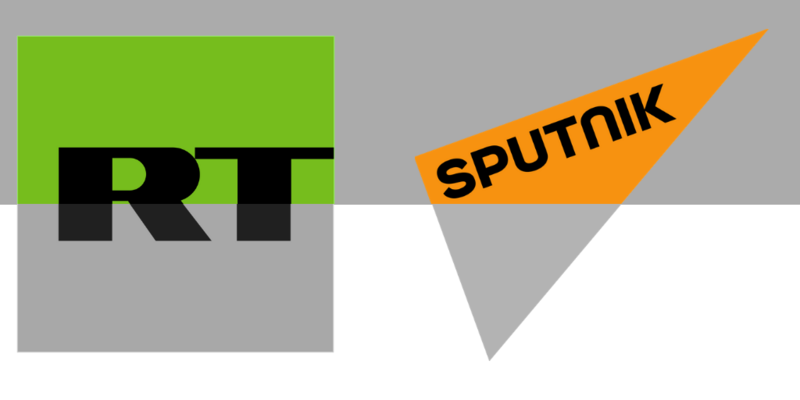 As with the “GONGOs”, outlets such as RT and Sputnik produce an output which, at a first glance, can resemble journalism. This means that they can be used as a pretext for the kind of outrage against international criticism we saw in the Foreign Ministry’s statements above; but in fact these so-called media are primarily instruments of influence in domestic and foreign policy. Russian authorities have established a system in which chief editors and key journalists are invited to attend weekly meetings with top managers from Russia’s Presidential Administration. At these meeting, guidelines for the following week, the so-called temniki, are handed down to the media. The guidelines usually trickle down through the media organisations orally; however, in some cases, they have surfaced in written form thanks to whistleblowers. Privately owned media in Russia are forced to follow similar guidelines. This means that they are allowed a narrow corridor of freedom, which leads to a high degree of self-censorship. If they cross the red lines, they are punished, as the we have seen in the cases of independent media, such as TV Rain, Lenta.ru and RBC. In an open letter to President Putin, RSF noted that “at least 34 media professionals have been killed in connection with their work in Russia since 2000”, and that “in the overwhelming majority of these cases, the investigations have gone nowhere and the masterminds have not been identified”. This lack of security for Russian journalists also jeopardises free journalism in Russia. Pro-Kremlin disinformation claims that Europeans are “Russophobic”. So we asked Europeans – is it true?